If you are a webmaster, then this article will be very useful. Let’s to the point, today there are hundreds of millions of online sites all competing against each other to reach multiple pages in search engines, especially Google. In short, millions of online sites are competing to get the attention of netizens! For many people, this is a fact that discourages their motivation to become a top webmaster. Before you give up and merge into the anonymity of the Internet, you should pay attention to the 5 tips below. These 5 tips will encourage you to be a tough person and teach you how you join the top webmasters all over the world. Before you create an online site, the first thing to think about is what your target audience is. Many sites are not successful and they are not focused on the audience segment. Therefore, instead of having a specific topic, they are publishing many themes that all of which cause confusion to their readers and gradually turn their site into ordinary site. An interesting logo cannot be ignored in forming your brand. If you ignore your site logo, then you ignore the “face” of your site. Interesting interface will also “force” your readers to linger in visiting your site. It is not possible they will recommend your site to their friends. Remember that content determines the success of your site and if you provide quality content, you have done one of ways in optimizing your website. Many amateur webmasters are bombarding their sites with non-qualified articles. They assume that because they always update, then their site would be more easily indexed Google. 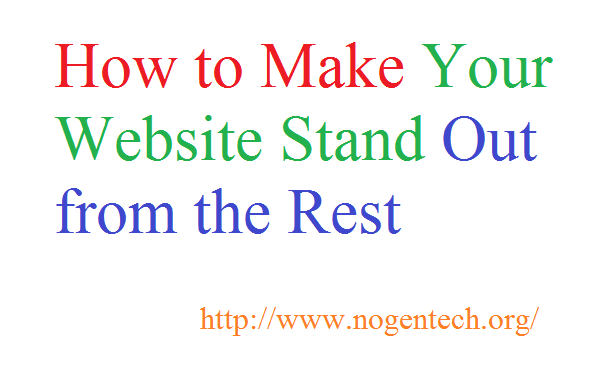 For your info, the actual number of visits is determined by how attractive your site is. And the reason why a site attracts many readers is the content it publishes. If you do not have the ability to write then you can hire a professional content writer. Remember that today, smartphones dominate many things, including the habit of surfing the Internet. You need to make sure that your site is accessible via smartphones easily or you will lose your readers! You may be able to create mobile apps that are connected to your site if you are truly professional. This is a thing that is often forgotten by amateur webmasters. You should be aware that when someone comments on a site and it is replied by the administrator, then that person will be happy and most likely he or she will become a regular reader. If possible, reply to each comment on your content as it will build a strong relationship between you and the readers.